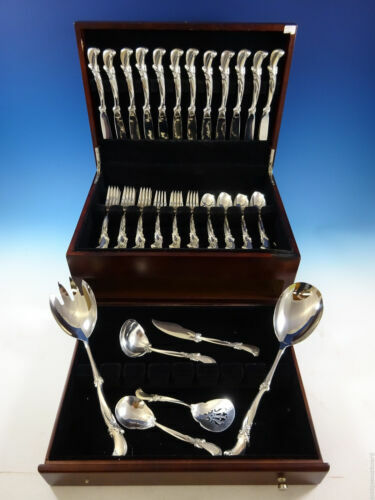 $100.0 Antique German Silver & Glass Cherub Table Box made in 1895. 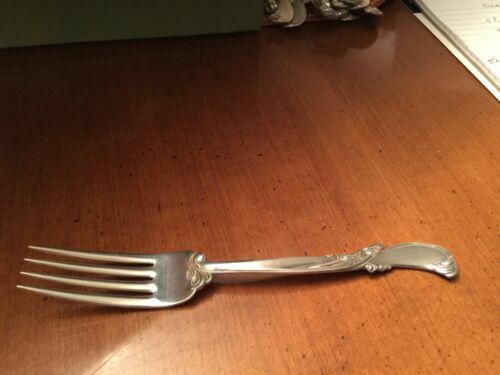 One of Kind! 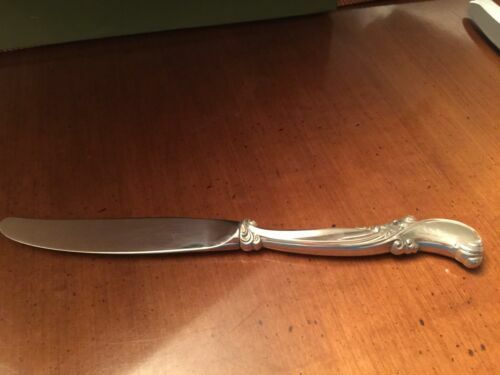 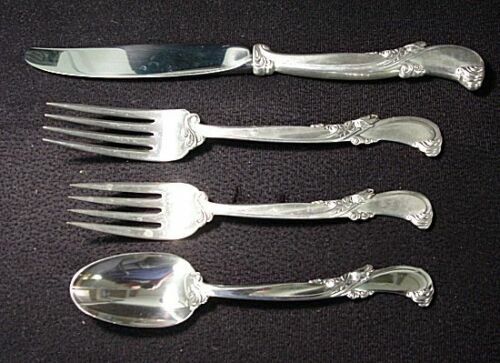 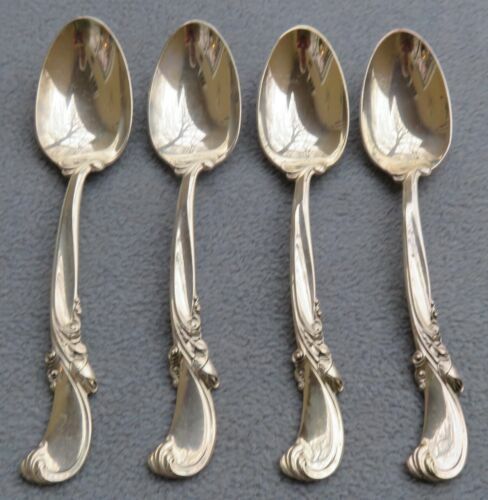 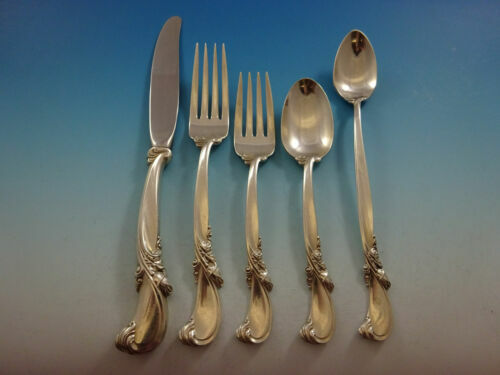 Buy: $2200.0 75 PIECE WALLACE 'WALTZ OF SPRING' STERLING SILVER FLATWARE. 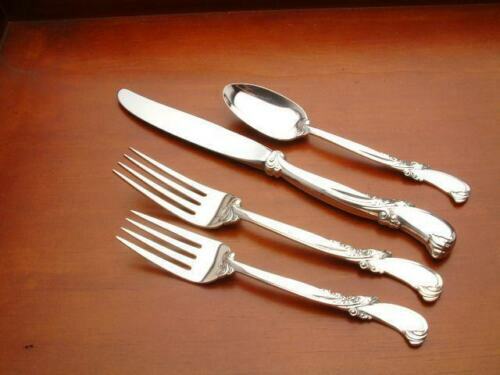 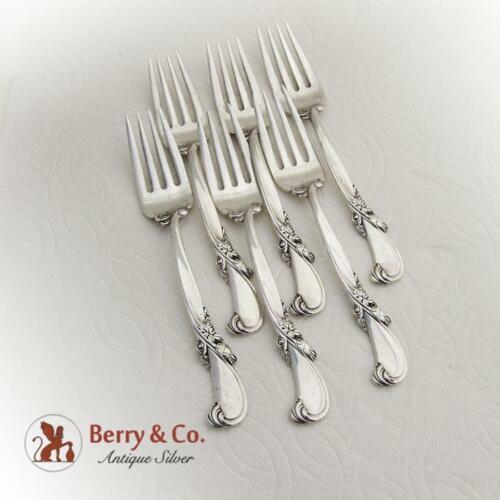 $259.0 Waltz of Spring by Wallace Sterling Silver Berry Spoon 9 1/8"
$399.0 Waltz of Spring by Wallace Sterling Silver Fish Fork Set 4pc AS Custom 7 1/4"
Buy: $100.0 Wallace Sterling Silver Dinner Forks. 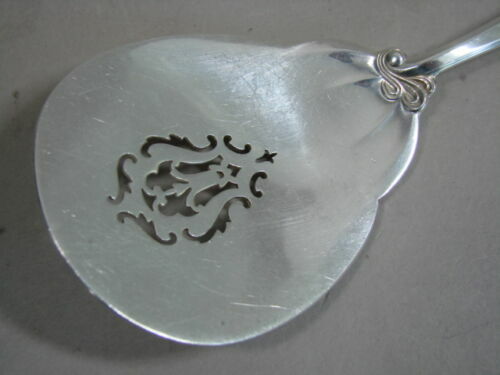 Waltz of Spring design. 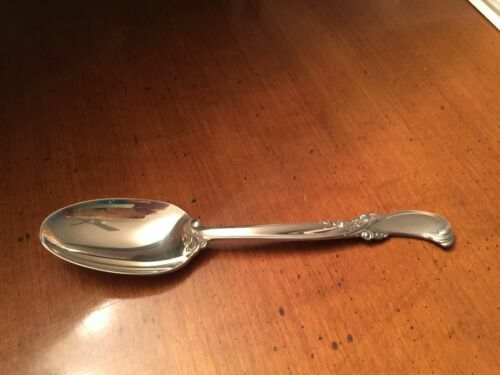 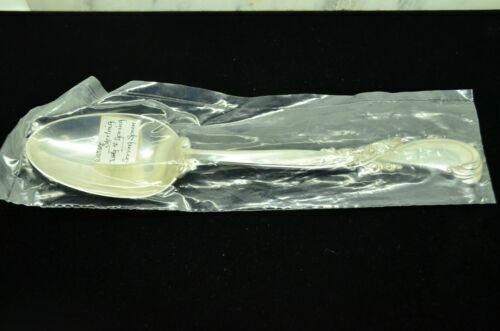 $139.0 Waltz of Spring by Wallace Sterling Silver Serving Spoon 8 1/2"
$139.0 Waltz of Spring By Wallace Sterling Silver Gravy Ladle 6 1/2"
Buy: $43.0 Wallace Sterling Silver Jam/sauce spoon (sugar spoon) Waltz of Spring design. 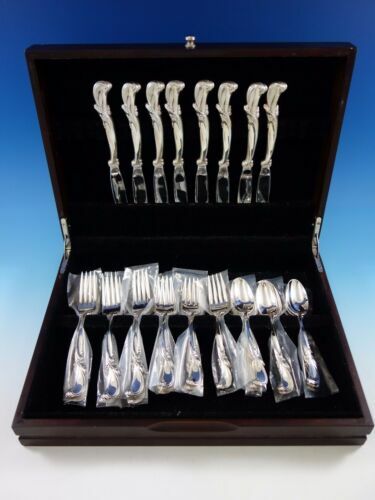 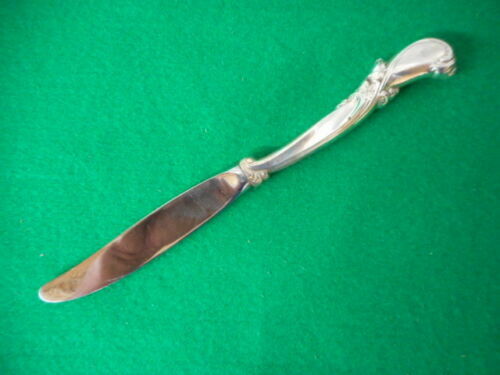 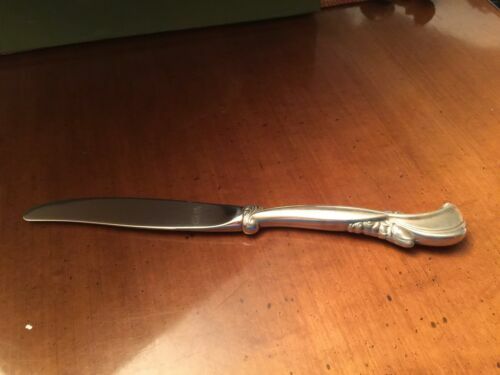 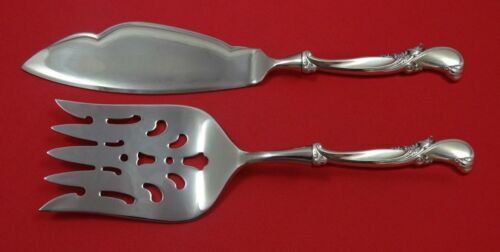 $139.0 Waltz of Spring By Wallace Sterling Silver Cold Meat Fork 8"
$139.0 Waltz of Spring by Wallace Sterling Silver Serving Spoon Pierced Original 8 1/2"
Buy: $39.0 Wallace Sterling Silver Teaspoons. 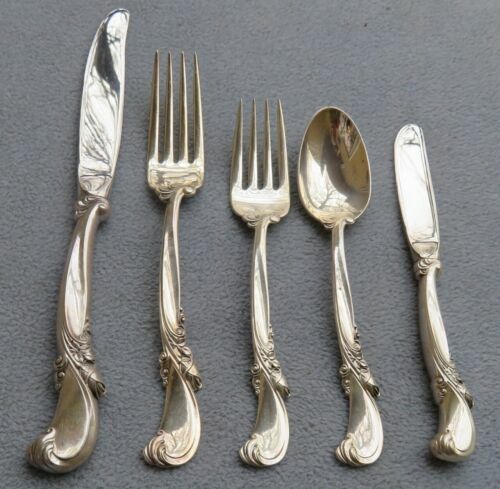 Waltz of Spring design scrolls and florals. 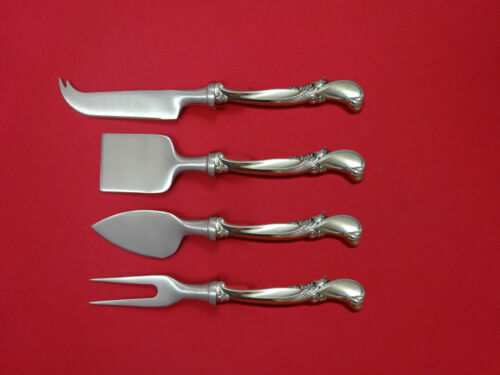 $129.0 Waltz of Spring By Wallace Sterling Silver Dinner Fork 7 7/8"
$119.0 Waltz of Spring Vermeil By Wallace Sterling Silver Regular Fork 7 1/4"
$42.0 Waltz of Spring by Wallace Sterling Fork 7 1/4"
$99.0 Waltz of Spring Vermeil By Wallace Sterling Silver Salad Fork 6 3/8"
Buy: $20.0 Wallace Stainless steel Knives. 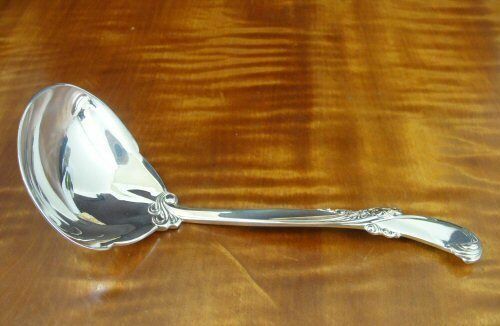 Waltz of Spring design.